The music of Animatism is a folk investigation bent through contemporary electronic production and sound design. 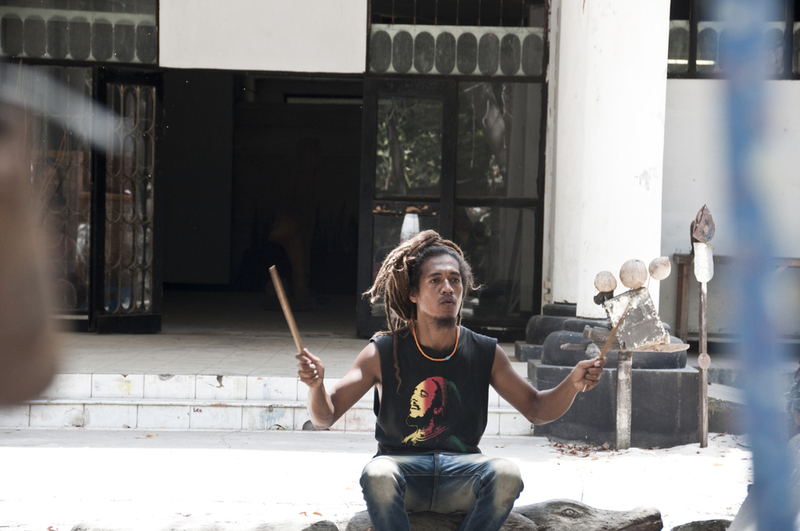 Using East Timorese rhythms as a foundation for collaboration, the sounds of Animatism blend the old with the new, the global with the local. Bryan Phillips combines a handful of samples from singing, through to stomp beats. 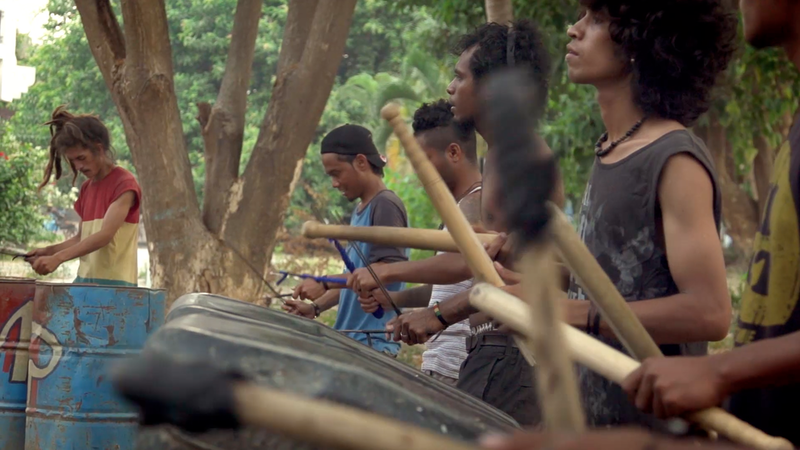 Video coming soon - Then and Now: The Arte Moris Stomp Orchestra, led by Etson Caminha, brings beats and life to found objects. 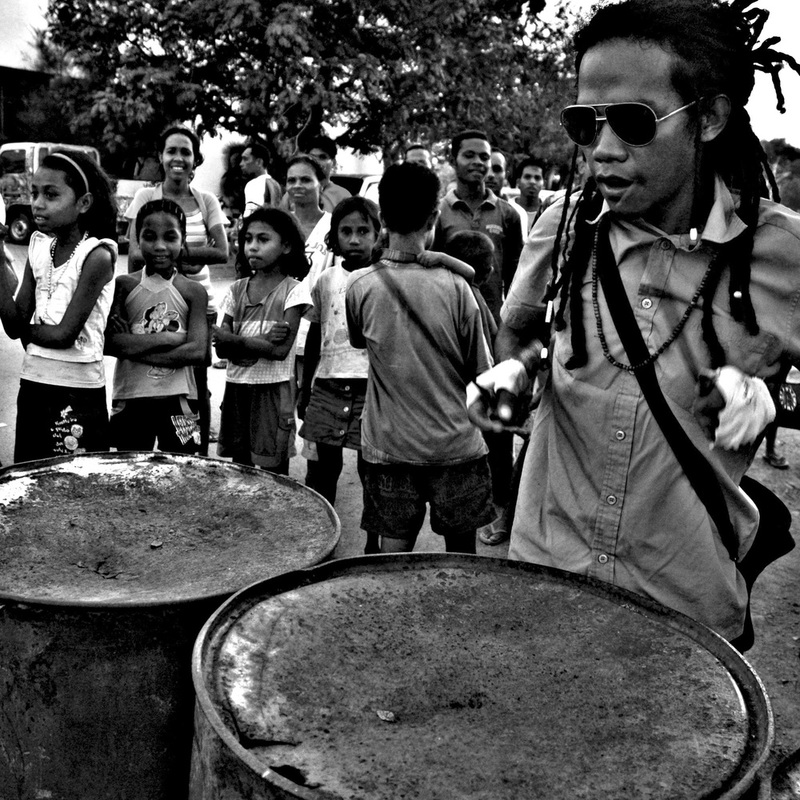 Friends of the Animatism project play to a packed crowd for the Santa Cruz anniversary in down town Dili.